Shakesville: Congrats on Getting Three Magazine Covers, Donald! Congrats on Getting Three Magazine Covers, Donald! 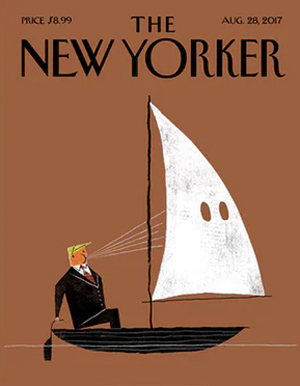 You know how Donald Trump just loooooooves to be on the covers of magazines! 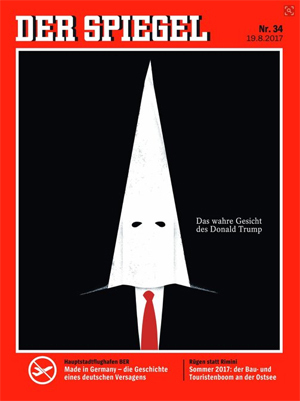 So much so that he's hung fake TIME magazine covers with his face on them in his golf palaces. 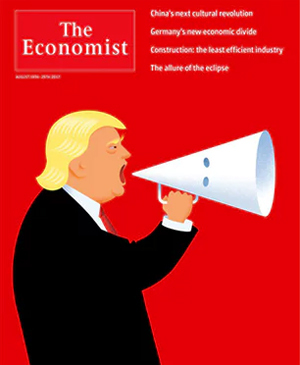 So he should be really thrilled to hear that he's made the cover of three prominent magazines this week: The Economist, The New Yorker, and Der Spiegel. I'm sure Donzo will be disappointed that he didn't also score the cover of Gold Toilet Aficionado Monthly, but your time will come, sir! Your time will surely come.